I can’t find the tire size I need in the tire size drop down menu. How can I specify the size of my tire? Setting tire sizes in Virtual CRASH is described in Chapter 6 of the User’s Guide. To change a tire’s size, simply go to the “axles” menu, select the axle corresponding to the tire size you wish to change. Then, either use one of the preset tire size drop down menu, or manually type your own values. If the tire size needs to be changed, you can manually change the section width, section height, aspect ratio, and wheel diameter as needed for your subject tire. 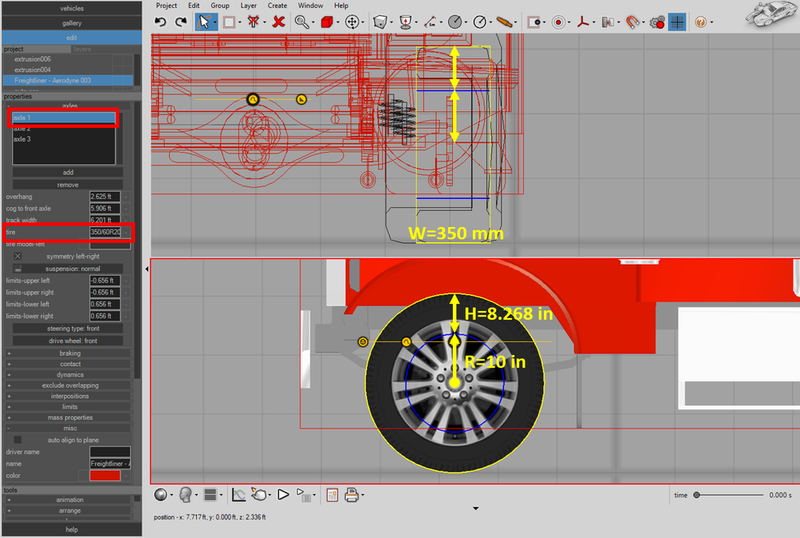 Tags: tire size, tire sizes, changing tires, section height, section width, aspect ratio.